HP 3 Year Next Day Exchange Care Pk Extended Service Agreement UG059E Pack of 1 HP 3 Year Next Day Exchange Care Pk Extended Service Agreement UG059E Up to 4800 x 1200 dpi colour resolution. Up to 16ppm print speed. 60 sheet input tray. Non-Returnable. OEM: UG059E. HP 3 Year Next Day Exchange Care Pk Extended Service Agreement UH262E Pack of 1 Hewlett Packard 3-Year Scanjet G2/3Xxx Service Extended Warranty. Non-Returnable. OEM: UH262E. HP 1 Year Next Day Exchange Onsite Care Pk Extended Service Agreement UK936PE Pack of 1 Hewlett Packard 1-Year Care Pack Next Business Day P2035 P2055 HPUK936PENon-Returnable. OEM: UK936PE. 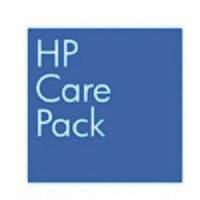 HP 3 year Next Business Day Carepack For Colour Laserjet Multifunctional Printer s UX435E Pack of 1 HP 3 year next business day carepack. For Colour Laserjet Multifunctional Printers. Permanent replacement product shipped overnight to your location. Must be purchased while standard warranty is in effect. Provides 3 years of coverage. HP 3 Year Next Day Exchange Care Pk Extended Service Agreement UG070E Pack of 1 HP 3 Year Next Day Exchange Care Pk Extended Service Agreement UG070E Up to 4800 x 1200 dpi resolution. Up to 33ppm mono and 32ppm print speed. Graphic-orientated printing up to A3+. Non-Returnable. OEM: UG070E. HP 2 Year Standard Exchange Care Pk Extended Service Agreement UG217E Pack of 1 HP Two Year Care Pack. Upgrades service levels to enhance your warranty cover for your total peace of mind and help you to stay up and running. Non returnable. OEM: UG217E. HP 3 Year Next Day Exchange Onsite Care Pk Extended Service Agreement UJ574E Pack of 1 Hewlett Packard Care Pack Next Business Day Hardware UJ574ENon-Returnable. OEM: UJ574E. HP 3 Year Next Day Exchange Onsite Care Pk Extended Service Agreement UL388E Pack of 1 Hewlett Packard Care Pack Next Business Day Hardware UL388ENon-Returnable. OEM: UL388E. HP 2 Year Standard Exchange Care Pk Extended Service Agreement UG218E Pack of 1 Hewlett Packard 2-Year Care Pack Standard Exchange Office Jet 7000 WD UG218ENon-Returnable. OEM: UG218E. 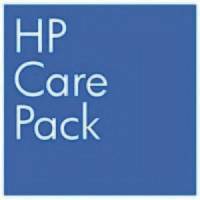 HP 3 Year 4-Hour Same Day Onsite Care Pk Extended Service Agreement UJ576E Pack of 1 Hewlett Packard Care Pack 4-Hour Same Business Day Hardware UJ576ENon-Returnable. OEM: UJ576E. 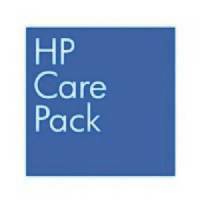 HP 3 year Next Business Day Carepack For Mono Laserjet Printer s UG086E Pack of 1 HP 3 year next business day carepack. For Mono Laserjet Printers. Permanent replacement product shipped overnight to your location. Must be purchased while standard warranty is in effect. Provides 3 years of coverage.